The Aix-en-Provence Central Train Station is located within walking distance of the city centre. 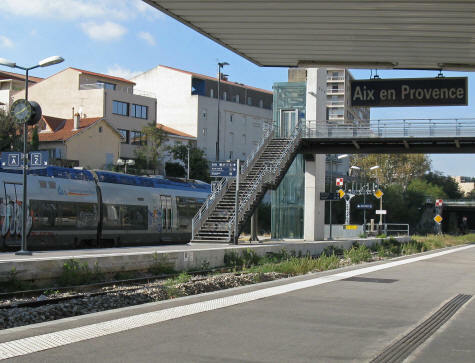 Frequent train service operates between Aix and Marseille, Paris and Nice. High-speed TVG trains zoom to Paris in approximately 3 hours. These fast trains depart from the TVG station at l'Arbois, about 16 km from Aix.